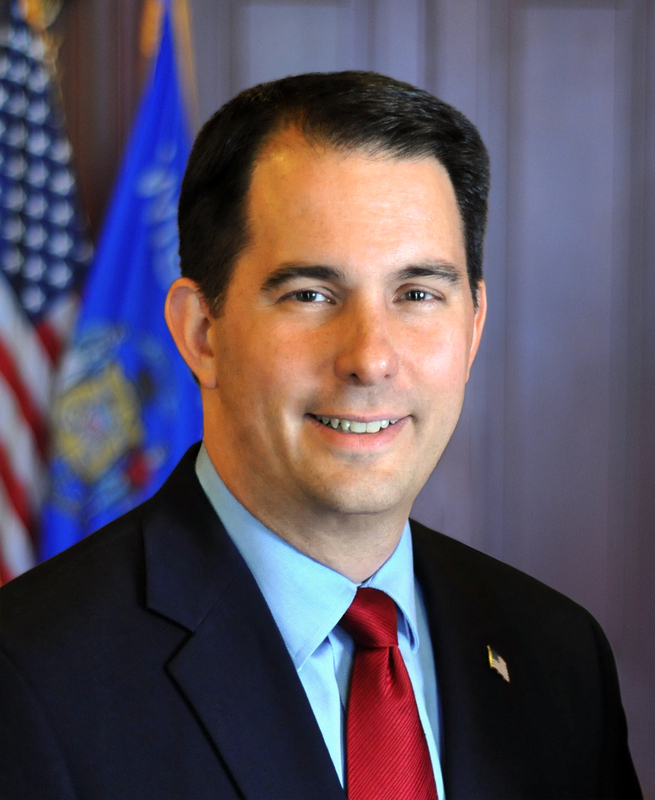 Racine – Governor Scott Walker joined Tourism Secretary, Stephanie Klett, as well as SC Johnson Chairman and CEO, Fisk Johnson, today at the SC Johnson headquarters in Racine for a ribbon cutting and dedication ceremony of the Frank Lloyd Wright Trail. This 200-mile trail runs through southern Wisconsin and features the work of the Wisconsin-native and renowned architect, Frank Lloyd Wright. The Frank Lloyd Wright Trail, which was established last fall, takes travelers on a self-guided architectural tour of nine buildings designed by Frank Lloyd Wright. The buildings range from private houses to public buildings and span across nine counties. Many of these sites were closed for the winter season and today’s ribbon cutting ceremony highlights the opening of these sites for the summer travel season. Wisconsin is home to more than 40 Wright-designed sites, 11 of which are open to the public, according to Frank Lloyd Wright Wisconsin, Inc. The trail signage includes large freeway guide signs, route trail marker signs, and directional and trailblazer signs in Richland, Sauk, Iowa, Dane, Jefferson, Milwaukee, Racine, and Kenosha counties.